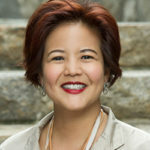 Mae Hong is chair of US-based Grantmakers for Organizational Effectiveness. Mae Hong, Thursday, 15th September 2016 - There is an expectation that institutions and companies have adequate resources to deliver the goods and services society relies on. So why should the Not for Profit sector be different, asks Mae Hong, chair of US-based Grantmakers for Organizational Effectiveness.